Continuing on the promo tour for 'First Man', Claire Foy attended a premiere for the film yesterday evening(October 4th) at the National Air and Space Station in Washington D.C. 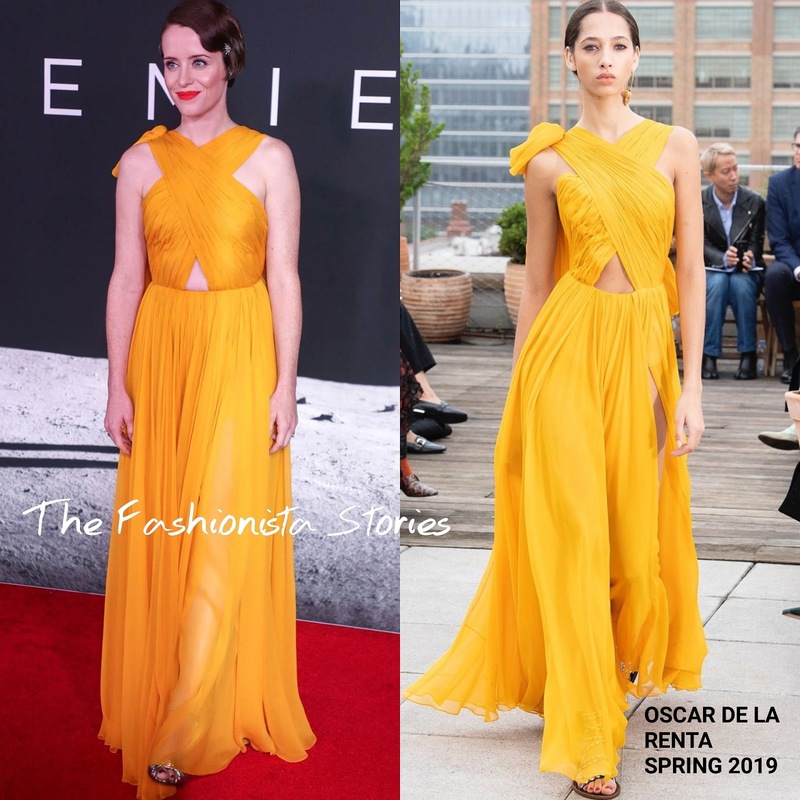 Since its recent debut, we have been seeing the OSCAR DE LA RENTA SPRING 2019 collection on the carpet. Claire opted for this vibrant yellow pleated silk-chiffon dress, featuring a crisscross, cutout bodice and a bow detail on the shoulder. Beauty wise, she went with a side parted, light wavy cut and a bold red lip which played off of the yellow. While I don't think this hue suits Claire, I love its vibrancy and the beauty look helps to pull it together. She finished up with FRED LEIGHTON jewelry and CHRISTIAN LOUBOUTIN sandals.